The rise of the customer-led economy. 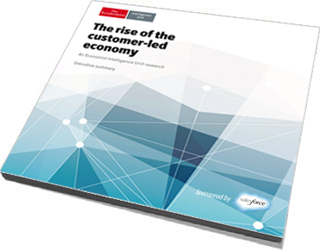 THE RISE OF THE CUSTOMER-LED ECONOMY FROM THE ECONOMIST INTELLIGENCE UNIT. What technologies are companies investing in to connect with customers? What benefits do CEOs expect from their investments? What are high-performing companies doing differently than their peers? For a preview, download the executive summary now.